Pulsing in power, innovation, and flexibility, the Philips BV Pulsera was designed to be your next imaging acquisition. It is capable of taking your practice to greater heights. Imaging is enhanced with pulsed acquisition at up to 30 pulses per second. This allows for superior images at lower doses of radiation and attains high levels of contrast to virtually eliminate artifacts from motion. It offers top-quality 3D imaging with no blurring. Regardless of patient size, its rotating anode can penetrate at the lowest dose necessary. The Philips BV Pulsera follows DoseWise, a Philips initiative that aims to expose patients to ALARA (As Low As Reasonably Achievable) doses of radiation. The rotating anode and excellent cooling capabilities allows the unit to keep up with long-duration cardiovascular and interventional procedures. 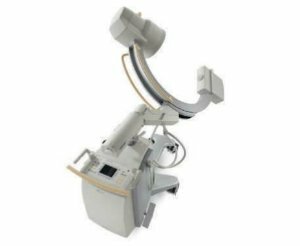 With excellent maneuverability, MobileView Station with touchscreen monitor display, single user concept, and Anatomatically Programmed Fluoroscopy (APF), the BV Pulsera was designed to be as friendly and as easy to use as possible. Explore the possibilities with a refurbished Philips BV Pulsera by getting in touch with Providian right now! I want a free price quote on the Philips BV Pulsera, send it today!